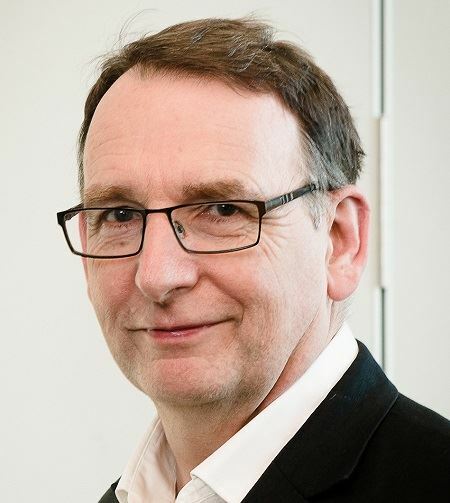 The Sir George Stokes Award is given to a leading analytical scientist awarded for translating research in biomolecular engineering and nanotechnology into new analytical devices and reagents to improve human and animal health. This year’s winner is Tony Cass from Imperial College London. Tony Cass attended Sir Joseph Williamson's Mathematical School for Boys in Rochester Kent before graduating with a 1st Class Honours degree in Chemistry from the University of York. After working for a year as a laboratory technician he joined the group of Professor Allen Hill FRS in the Inorganic Chemistry Laboratory in Oxford and was a Hastings Senior Scholar at Queen's College Oxford. After a post-doctoral research assistantship with Allen Hill he was then awarded a BP Junior Research Fellowship at St Hugh's College, Oxford. During his time in Oxford his research with Allen Hill and colleagues led to the development of the first electronic blood glucose sensor an achievement recognised by the award of the Mullard Medal of the Royal Society (jointly with Allen and Dr Monika Green) and a Chemical Landmark Award of the RSC (with Allen and Dr Graham Davis). Tony then moved to Imperial College London as a lecturer in a newly established Centre for Biotechnology and was subsequently appointed to a chair in Chemical Biology in the Department of Biochemistry before becoming Deputy Director of the Institute of Biomedical Engineering at Imperial College London working closely with its founding director, Professor Chris Toumazou FRS FREng. During this time, he also founded Bionano Consulting Ltd. with Professor Gabriel Aeppli FRS. Tony then moved to the Chemistry Department where his research continues in collaboration with colleagues in the faculties of Natural Sciences, Medicine and Engineering. Tony is married, with 3 sons, to Dr Pam Ganju, a pharma industry executive. This lectureship was launched as a platform for an early career analytical scientist to raise the profile of the analytical sciences to the wider scientific community and general public. The awardee receives up to £2000 contribution towards travel and accommodation costs to attend and present a lecture based on their research at a leading international meeting. Dr. Wei Min graduated from Peking University, China, with a Bachelor's degree in 2003. He received his Ph.D. in Chemistry from Harvard University in 2008 studying single-molecule biophysics with Prof. Sunney Xie. 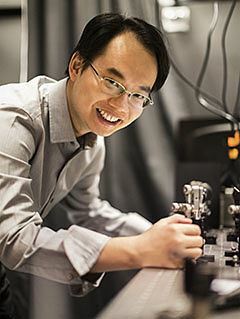 After continuing his postdoctoral work in Xie group, Dr. Min joined the faculty of Department of Chemistry at Columbia University in 2010, and has been a tenured full Professor since 2017. Dr. Min's current research interests focus on developing novel optical spectroscopy and microscopy technology to address biomedical problems. The Theophilus Redwood Award is given to a leading analytical scientist who is also an outstanding communicator. This year’s winner is Duncan Graham from the University of Strathclyde for innovation and leadership in exploiting surface enhanced Raman spectroscopy in the analytical community.